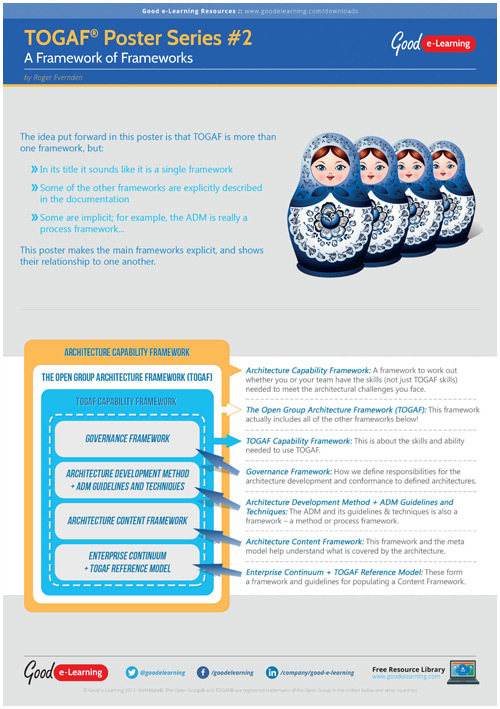 This week's poster visually demonstrates how TOGAF is made up of multiple inter-related frameworks. This is the second in a series of posters about TOGAF. Check back each week for the next installment!